Anna and Ramona, two women from Finland who are ten years apart, came to Amsterdam at different times and for different reasons. Anna, a trained musician from Turku, set off on an around-the-world trip. In Thailand, a Dutch man captured her heart. Ramona, originally from Helsinki, simply wanted a new adventure, so she responded to an advertisement in the newspaper for a position at a Finnish-owned hotel in Amsterdam. Despite their different backgrounds, a common goal was all it took to bring the two together. 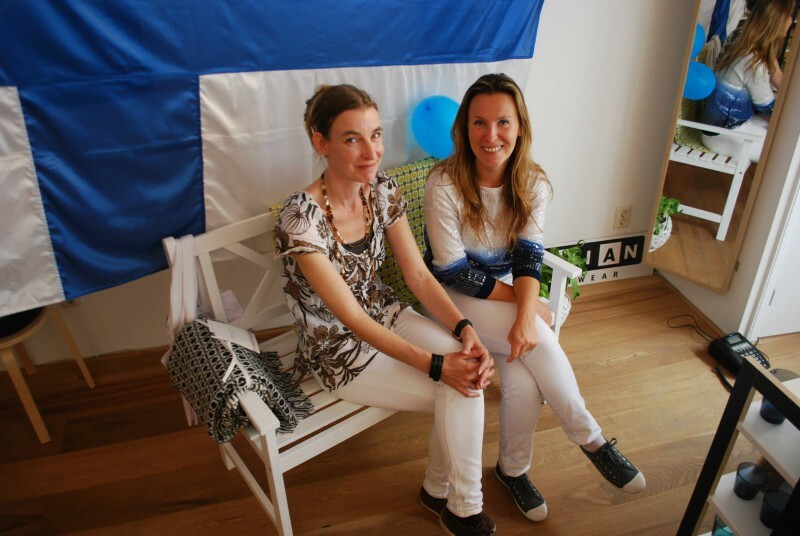 Living in the Netherlands, both women missed various aspects of their home country and wanted to introduce a piece of it to Amsterdam. Anna dreamed of founding a place that focused on Finnish culture, everything from food to design to travel. Intent on opening a business of her own, she conducted the necessary market research. Ramona reached out to Anna via an expat Facebook group. Ramona wanted to blend a café concept with a shop for Finnish products, but needed an extra push to enter the entrepreneur world. One rainy afternoon, the two discussed their goals over coffee. Their aspirations aligned, and with a strong connection, Anna and Ramona decided to combine their ideas and efforts. The end result, A Piece Of Finland, opened on April 12, 2014.